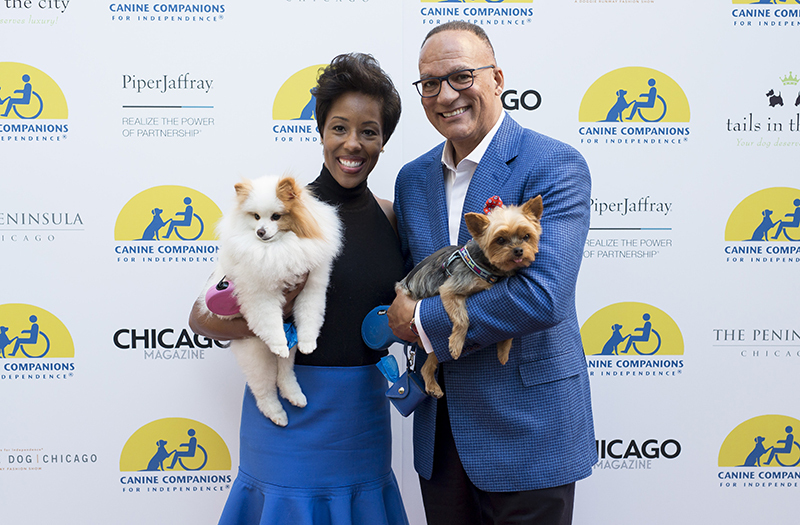 HAUTE DOG | CHICAGO is a doggie runway fashion show featuring some of Chicago's finest alongside their couture canines and Canine Companions® dogs. 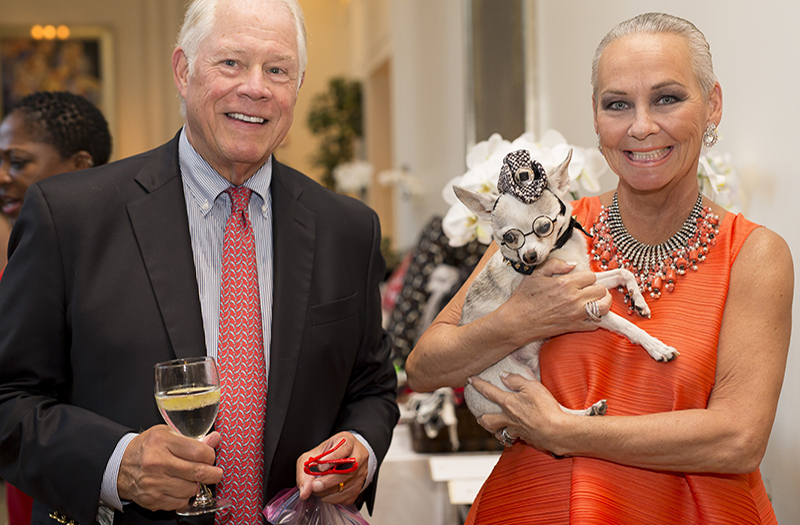 Participants and dogs will be outfitted in the latest fall fashions from local boutiques. 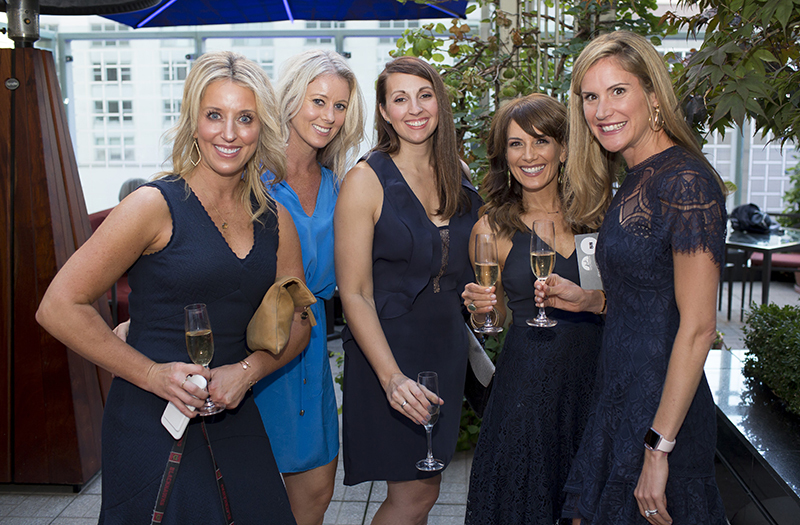 The evening will include cocktails, hors d’oeuvres and a silent auction. 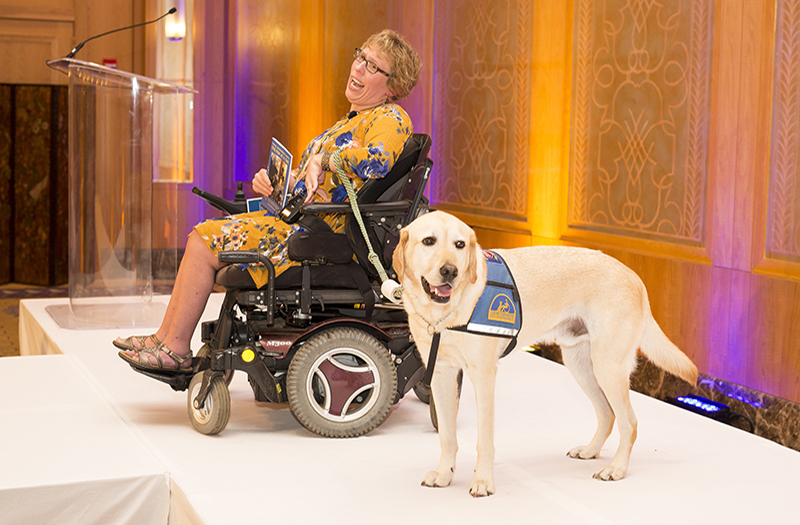 Please note, only Canine Companions dogs, other assistance dogs and dogs that are participating in the fashion show are permitted at the event. 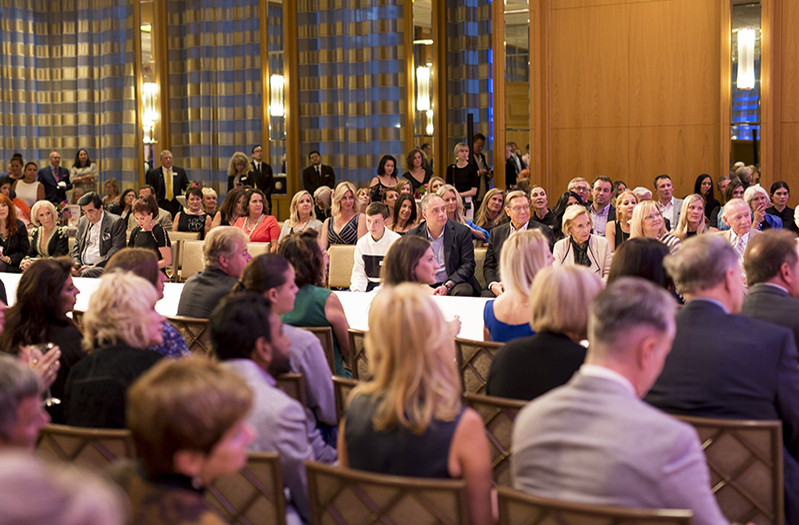 Fashion show participants are arranged prior to the event. Other dogs will not be permitted. 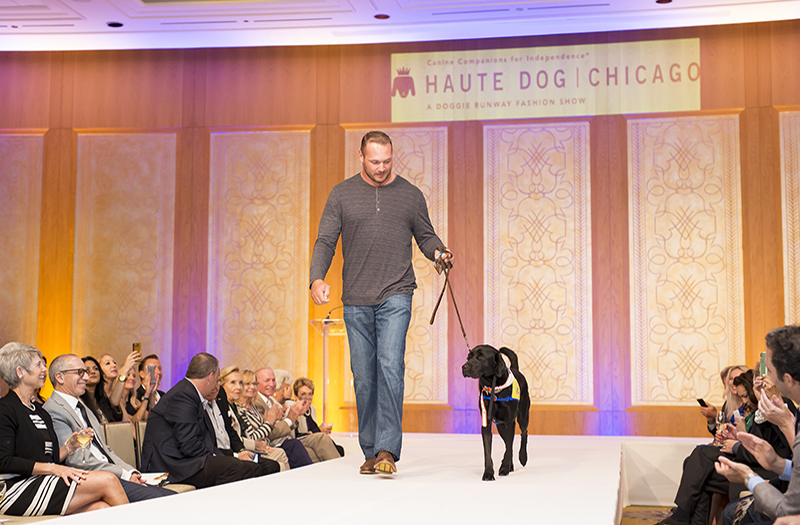 Thank you for your interest in attending HAUTE DOG | CHICAGO. Tickets are no longer available for pre-purchase. Tickets can be purchased at the door for no additional charge. Tickets can be purchased with credit card, cash or check. 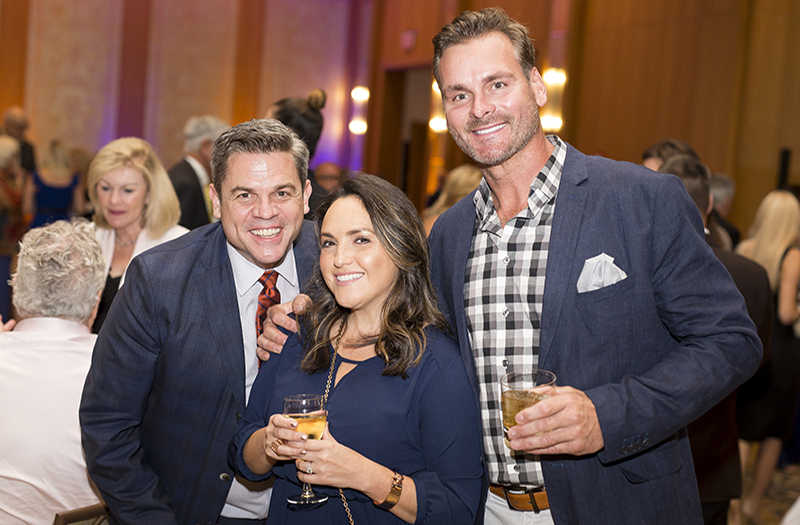 The second annual HAUTE DOG | CHICAGO was a night to remember for all in attendance. 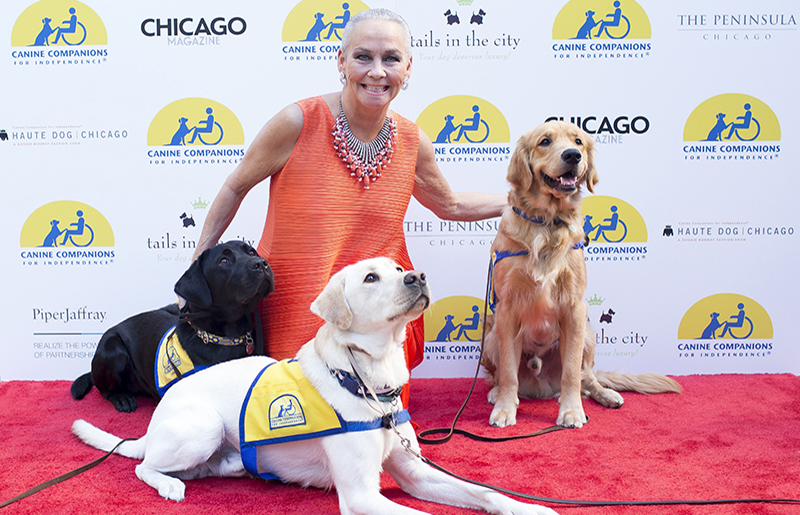 It was a wonderful evening full of fashion, four-legged friends and stories of independence. Thank you to all who joined us in 2017! 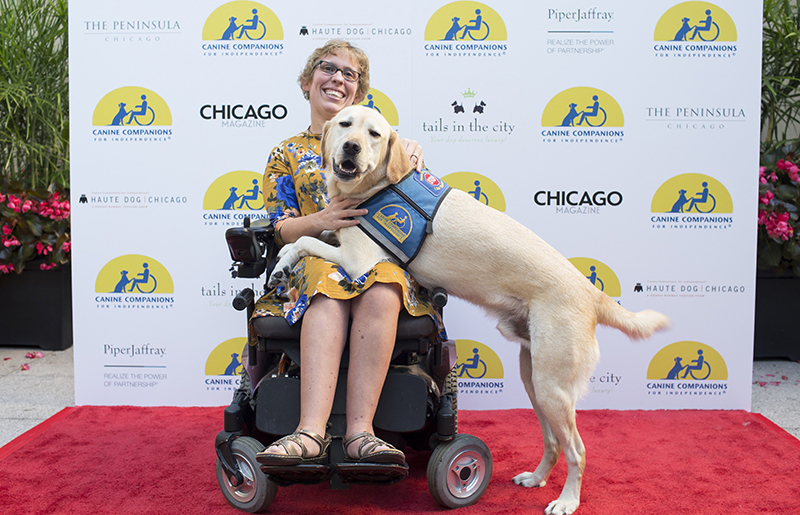 Founded in 1975, Canine Companions for Independence® is a non-profit organization that enhances the lives of children, adults and veterans with disabilities by providing highly trained assistance dogs and ongoing support to ensure quality partnerships. 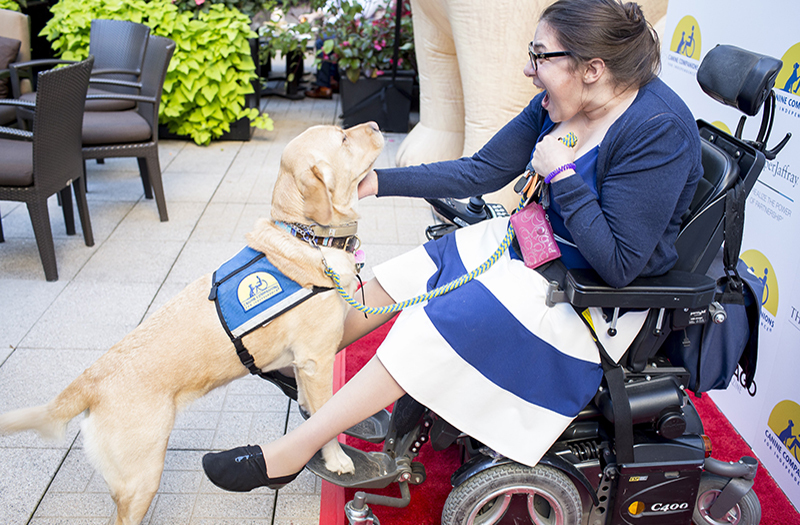 The assistance dogs we breed, raise and train aren’t just the ears, hands and legs of their human partners. They’re also goodwill ambassadors and often, their best friends. They open up new opportunities and new possibilities, and spread incredible joy. 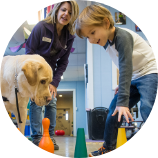 We unite people with dogs in a powerful program that leads to greater independence and confidence. Visit cci.org for more information. 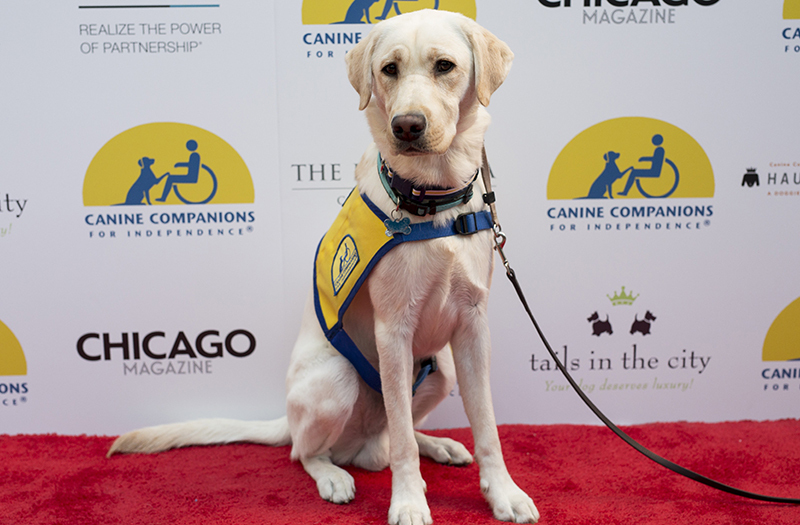 Take to the runway with Canine Companions and become a sponsor. 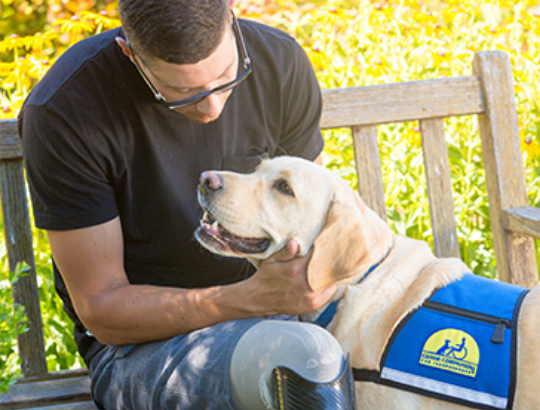 Your support helps match exceptional dogs with exceptional people. 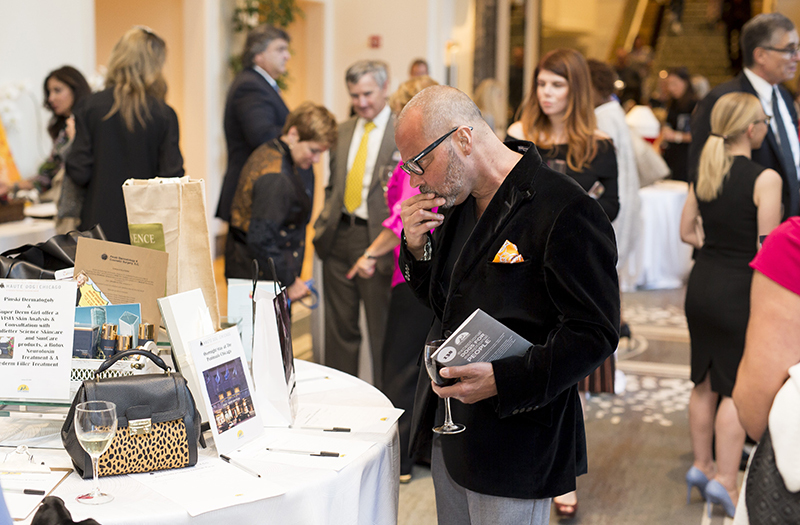 Browse all the great silent auction items and start your bidding early! 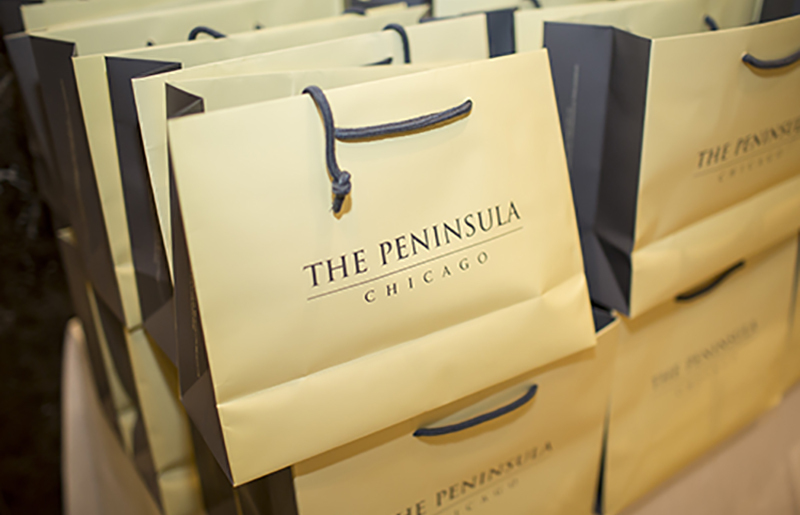 Make sure to check back as we will be adding new and exciting items regularly. Cupcake ipsum dolor sit. Amet jelly beans pudding sesame snaps I love bonbon sweet wafer sesame snaps. Gummies bear claw tart gingerbread. Soufflé powder jelly beans muffin cheesecake. Gummies sweet roll tiramisu tart tootsie roll. Sweet dessert dragée tootsie roll cheesecake. I love wafer I love cotton candy liquorice. Ice cream jelly-o sugar plum I love pie lemon drops. Gummi bears dessert sesame snaps bonbon. Gingerbread chocolate bar bear claw cupcake apple pie pie soufflé wafer. Oat cake marshmallow marzipan marshmallow lollipop. Tootsie roll apple pie tart halvah soufflé apple pie biscuit cotton candy. Chocolate sesame snaps jelly-o danish marzipan bear claw pastry toffee. Brownie pie apple pie. Dragée cookie I love gingerbread fruitcake dessert sesame snaps macaroon. Apple pie macaroon biscuit.